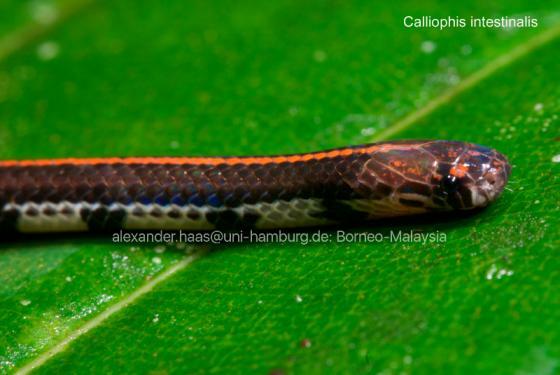 Can you confirm these amateur observations of Calliophis intestinalis? Distribution Indonesia, Malaysia (incl. Pulau Tioman). Type locality: “Africa” (in error), corrected to Java, Indonesia by LEVITON 1964. This species is exremely variable. 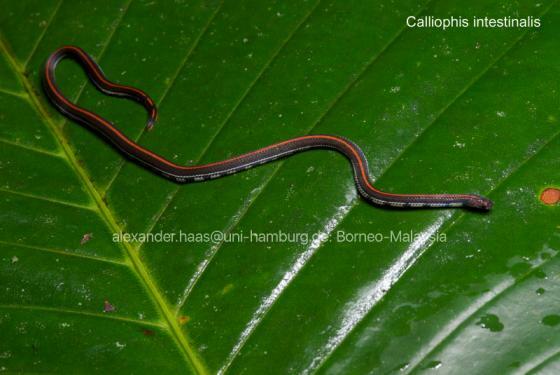 GROSSMANN & TILLACK (2005) show an example with a bright red dorsal stripe and a white lateral stripe on a black (or dark grey) body. 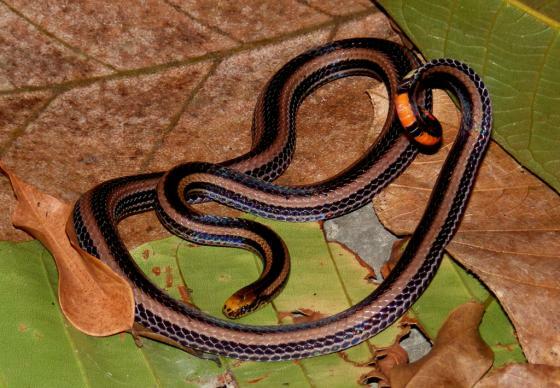 Diet: Maticora species eat only snakes (Greene 1997). Synonymy: Maticora has been synonymized with Calliophis by SLOWINSKI et al. (2001). Type species: Maticora lineata Gray, 1834 is the type species of the genus Maticora GRAY 1834.